Configura – the Swedish technology company that makes space-planning software – held its 10th annual CET Designer User and Developer Conference Nov. 8-9 in the city where it all began nearly a decade ago – Las Vegas. The Swedes pulled out all the stops – from opening the event with an upbeat video featuring dancing Configurans – to offering dozens of presentations given by design industry leaders – to hosting an elegant evening gala that culminated with some rockin’ Configurans (including the CEO!) performing as a cover band live on stage. 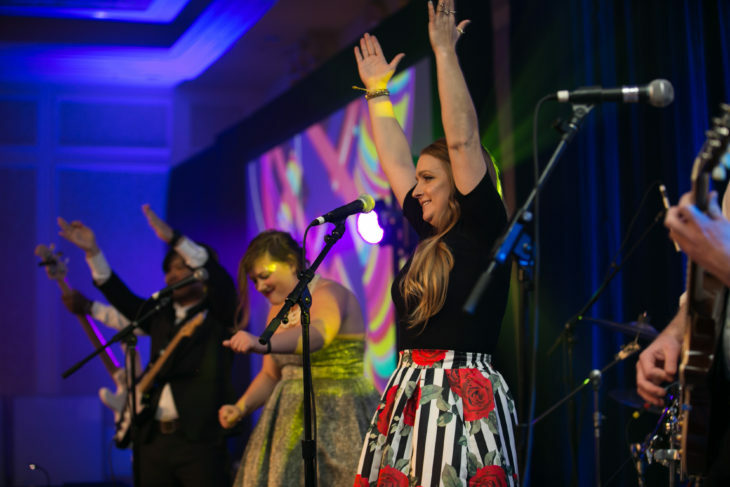 The video of dancing Configurans (Configura employees) was a way for conference attendees to see how Configura has grown into a global company connected by a fun, quirky and contagious spirit. Interspersed in the video were clips of Configura CEO Johan Lyreborn and Vice President Peter Brandinger in an Abbott-and-Costello-style skit where they darted from a Scandinavian castle to a Michigan conference center to – finally – the Sands Expo and Convention Center in Las Vegas in a quest to find the 10th annual conference. 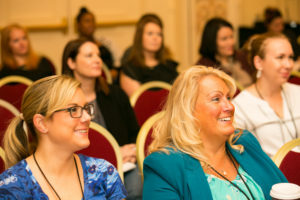 Then, to the delight of the hundreds of people in attendance at the actual conference, Lyreborn and Brandinger burst into Sands Expo’s large meeting space in person, accompanied by “Elvis,” Vegas show girls and Configura employees tossing t-shirts. It was a spectacle that’ll be hard to top. A record number of 425 people attended – designers, dealers and global manufacturers Allsteel, Global, Haworth, Herman Miller, HNI, KI, Kimball, Knoll, Kokuyo, Maars, Midmark, National, OFS Brands, Steelcase, Sunon and Teknion. Also participating were Configura software application development and implementation partners; representatives from additional industries now using CET Designer; and many Configurans from the company’s Sweden, Asian and North American offices. “With representatives from all major furniture manufacturers in North America and a growing number of partners from all over the world, this event solidifies that CET Designer has become the primary specification tool in the contract furniture industry,” Lanning said. 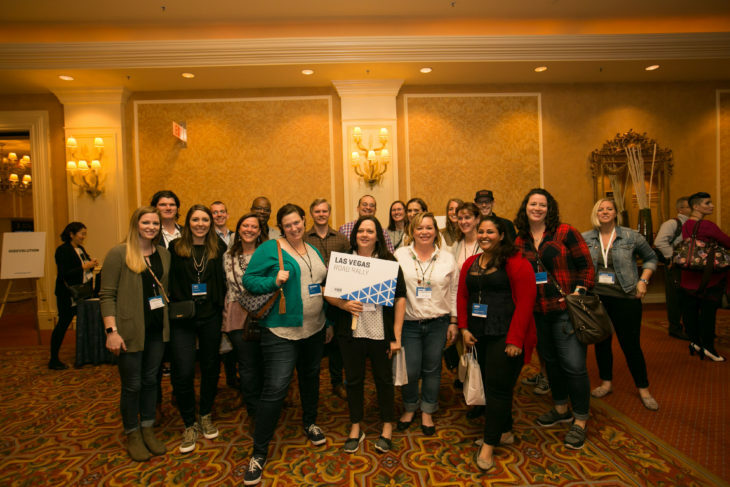 The night before the conference officially started, attendees could take part in one of four welcome events – a Las Vegas show, a scavenger hunt on The Strip, or dinner at onsite restaurants Tao or Lavo. These ice breakers served to warm people up for the main event – the two-day conference that has become a reunion for many in the commercial furniture industry. “When we started this conference in 2008, we had no idea it would grow into this fantastic CET community. The software we’ve created together is changing industries, and, because of you, it keeps evolving and improving,” Brandinger said to the audience. During the opening remarks, Lyreborn took a moment to honor a few people who have participated in every single user conference, including Steve Eriksson who led Steelcase’s transition to CET Designer; and Cate Sword and Paul Riches, both CET Designer “power users” who, through the years, have worked closely with Configura to advance the solution. “Steve, Cate and Paul – and many others – have helped us to develop along the way, to get where we are today, maybe even giving us an extra nudge or two when we needed it,” Lyreborn said. The Configura CEO also paused to reflect on the mass shooting in Las Vegas that occurred in early October. “It was a senseless tragedy, and it made everyone question: ‘Should I go to the conference? Is it safe?’ But I think, and I hope you do too, that our work is important. Being together is important. And we came together because we have big things to accomplish over the next two days. I’m so proud of this company and this CET community,” Lyreborn said. Contract magazine’s 2017 Designer of the Year Suzette Subance Ferrier, IIDA, keynoted the 10th annual conference. A studio design director at New York-based TPG Architecture, Subance Ferrier specializes in helping organizations transform through how they use space. Subance Ferrier talked about the six drivers of change that spur an organization to transform: demographics, business innovation, productivity, economics, technology and globalization. She showcased four design projects that she’s recently worked on, and how a combination of change drivers has resulted in specific design choices for each company. Global publishing company Wiley, for example, has been in business for more than 210 years. Faced with a lease renewal at its headquarters in Hoboken, N.J., Wiley took the opportunity to rethink the functionality of its main office and the needs of its employees. TPG Architecture – working with dancker, a Steelcase dealer using CET Designer – helped shift the publishing company from an outdated, hierarchal and closed environment to a more digitally focused and open space. The transformation is helping Wiley employees excel in a technology-driven industry. Subance Ferrier also profiled design projects with McCann Worldgroup, Time Inc. and Condé Nast Entertainment. At the heart of each project – and many others she oversees – is a cultural shift in which employees are treated not just as workers or team members; they are treated as clients to be delighted by a well-designed workspace. “There are so many ‘what if’ possibilities that design brings to the world. … There is no other time in my career I’ve felt so strongly that we as designers can make a difference,” she said. Susan Wiggins, senior strategic advisor for the American Society of Interior Designers (ASID), offered a bevy of industry observations to conference attendees. 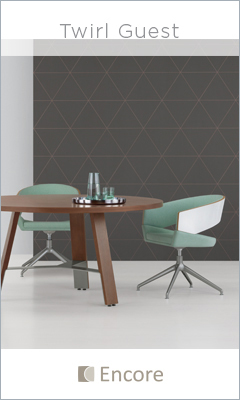 According to ASID’s 2016-17 Industry Outlook report, the future looks bright for designers. In the United States today, there are approximately 66,500 interior design jobs. More than 3,300 new jobs – an increase of 5 percent – are expected to be added by year 2026. The number of interior design companies is also rising, and 29 percent of firms are hiring, according to the report. Even as opportunities are increasing, roles are blurring. During her presentation, she cited a dramatic statistic – that the third-largest population in the world is U.S. citizens who are 55 years of age and older (Asia as a whole is the largest population, followed by the entirety of the United States). This generation of older Americans wants to “age in place,” independent and active in their own homes. When hospital or assisted-living care is required, they don’t want to feel like they’re in an institution – they want to feel like they’re at a hotel. Meanwhile, Millennials – those born between the late 1970s and the mid 1990s – are now the largest cohort in the workforce. And they work differently than past generations. Highly mobile and digitally connected, their “office” might be their phone or laptop. And when they’re in an office environment, they want a variety of spaces – not just for working but also for relaxing and having fun. So today, in addition to a blurring of design roles, there’s also a blurring of designed environments – residences that incorporate aspects of the commercial workplace; workplaces that resemble residences – which has given rise to the term “resimmercial,” Wiggins said. Meanwhile, disturbing environmental and societal events – hurricanes and mass shootings, for example – require designers to embrace “resilient design” – design that’s prepared to minimize the impact of such events, or perhaps help to prevent them from occurring in the first place. “It’s about what’s happening in the world around us. 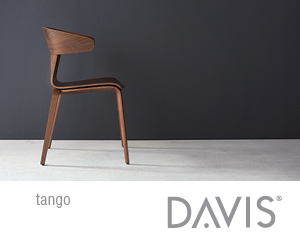 We need to ask: How can design make a difference?” Wiggins said. Configura’s CET Designer software helps designers to create designs in real time, in collaboration with colleagues and clients. But before diving into live design, Marcuzzo counseled attendees to really get to know the client – who they are and what they’re portraying through their brand – by starting with research. Drawing from nearly a decade in creative sales and design, Marcuzzo led participants through ways to impress clients and speed up the sales process using such interactive tools as remote viewing and virtual reality. “CET Designer is not just a design tool. It changes the way that dealerships do business,” Riches said. He was one of the first in the industry to use CET Designer as a tool for change management. Through the years, he’s developed a roadmap that he calls “PPT” – People, Processes, Technology – a guideline for dealerships to embrace CET Designer across the enterprise. During his session at the user conference, he walked participants through the roadmap. Riches also moderated an open Q&A session with other CET Designer power users, discussing best practices, industry trends and overcoming roadblocks to adoption of the tool. Presentations throughout the two-day conference ran the gamut for CET Designer users of all skill and experience levels. 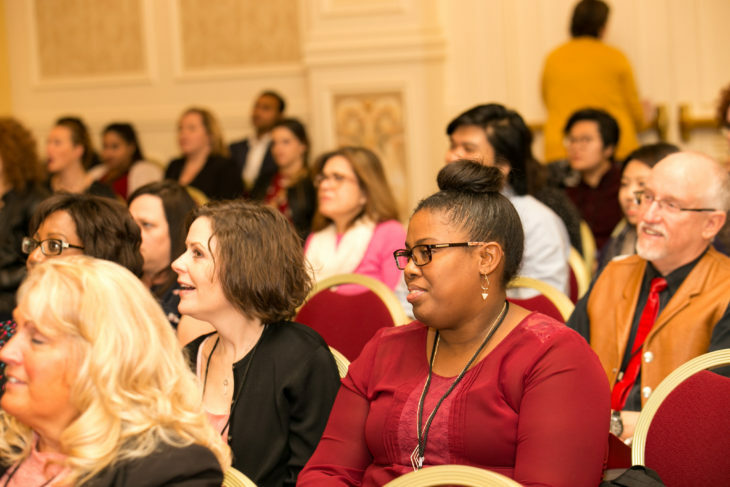 Many of the sessions were approved for Continuing Education Units by the Interior Design Continuing Education Council (IDCEC). A number of conference sponsors whose technologies already integrate with Configura’s (or will soon) were exhibiting at the conference – including HIDevolution, MyResourceLibrary, Praxik and ProjectMatrix. For first-time conference attendee and five-year CET Designer user Ciara Holland of Dallas-based Steelcase dealer bkm total office, it was an opportunity not only to learn more about CET Designer but also to take in the new technologies that are being integrated with the solution. “I’m really excited about AR (Augmented Reality), which I think is going to be a game changer in terms of efficiency and speed to market in competitive situations. It’s about giving the customer what they ask for but also showing the customer what a space could be if they think outside the box,” Holland said. Praxik has developed an AR solution that soon will be available as a CET Designer Extension. 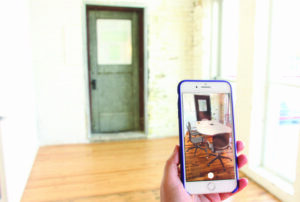 Dubbed “InstantAR,” it will let CET Designer users “project” their designs into a client’s space using a phone or tablet device. “The Extension will generate a link when you design something inside CET Designer, and that link will take you to an app that allows you to export your design specification and ‘place’ it in an actual space, viewable from the phone or tablet,” explained Anna Prisacari, vice president of marketing and user experience at Praxik. Using one’s fingers on the device, the product or configuration of products can be moved toward or away from the user, spun around and even viewed from varying angles, with scale remaining relative to the space. Take for example, a workstation. The image of the workstation can be “placed” in actual space, so the user can see what it looks like in the space and observe the product from all angles. “During demos, I’ve seen people lying on the floor to see the underneath side of the product, because you literally can do that,” Prisacari said. She said the Extension will be able to handle large drawings, not just single or a few products. “We can work with large designs. You just need a big, empty room to get the full experience,” she said. Because the experience can be captured as a video, Prisacari said people are interested in using InstantAR on websites and social media as another way to showcase their products and design solutions. She thinks it also will be a powerful tool for trade shows. “Instead of bringing a lot of products physically to a show, you can highlight products virtually,” she said. The beta version of InstantAR launches in December and the full Extension goes live in early 2018. View a demo at https://www.praxik.com/instant-ar. MyResourceLibrary also exhibited at Configura’s conference. A virtual library serving the contract furniture market, MRL offers access to resources normally found in a physical library binder, but now digitally in the cloud, in an ultra-portable format. Nearly all of the major commercial furniture manufacturers’ products are available in MyResourceLibrary. Founder Jeff Carlson said his company is working on connecting the MyResourceLibrary resources to CET Designer. “We’re developing an integration so a user can go from the various product marketing materials (in the library) directly into CET Designer,” he said. Carlson was at the conference along with company President Jim Palmitier to gain feedback from users about the planned integration, which is expected to launch in June 2018 during NeoCon. Concurrent and commingled with the CET Designer User Conference was the CET (Configura Extension Technology) Developer Conference, a twice-yearly gathering of the Configura-employed and external software developers who work on the core software as well as CET Designer Extensions. The blending of the developer and user conferences gave the people who make the software – and those who use the software – the opportunity to interact with and learn from one another. Configura Vice President of Research and Development Göran Rydqvist was among the presenters at the developer conference. He, along with company co-founders Sune Rydqvist and Johan Lyreborn, pioneered Configura’s concept of PGC – Parametric Graphical Configuration – on which Configura’s solutions are based. PGC is a way to efficiently manage the complexity of component-based products. Rydqvist also developed the programming language CM (Configura Magic), which is used to code CET Designer and related Extensions. During the conference, he reinforced the importance of simplicity as a way to manage complexity when developing software. “Simplicity means being precise. In software development, it means removing bad code and unnecessary programming,” he said. Referencing Austrian-British philosopher Ludwig Wittgenstein, Rydqvist said all philosophical problems arise from a miscommunication of language. “So in programming, it’s important to get the vocabulary exactly right,” Rydqvist said. In the past several years, Configura has opened its programming language, code and PGC philosophy to external software developers – Configura refers to them as Implementation Partners. One of the newer partners is Open Systems Technologies (OST), headquartered in Grand Rapids, Michigan. “Getting to hear from the executive leadership at the conference about some of their goals and strategies has helped to focus our thinking about our own strategies and tactics. Many of the user and developer sessions provided some great new insights as well,” OST Senior Consultant Nathan Bonner said. The day before the user and developer conferences began, Configura held its fall Partner Meeting. More than 80 Manufacturer and Implementation Partners and Configura leadership attended. Configura CEO Johan Lyreborn presented a business update, announcing that in the past year, the company has experienced 7 percent sales growth and has seen CET Designer licenses increase by 26 percent. “Our vision is to be the leading global company focusing on designed spaces. Configura Extension Technology can do anything, and we are opening the possibilities to completely new industries – not just industries like furniture and material handling but any industry that has space and requires space planning,” Lyreborn said. Configura Chief Product Officer Nicklas Dagersten also gave an update on new features and Extensions coming soon to CET Designer, including the ability to measure and add dimensions while working in 3D, plus an Extension that has structural beams (both standard sizes and the ability to customize beam sizes). Also in development: A sales user interface – a version of CET Designer that would be simple for salespeople to quickly use. An “alpha group” consisting of Configura partners has been testing the tool and offering feedback to Configura. A beta version will be tested by CET Designer users in December. One of the Partner Meeting attendees was Denise Greenhaw, manager of dealer engagement and capabilities at Allsteel. Greenhaw’s team is responsible for rolling out CET Designer to Allsteel’s distribution network. “The Partner Meeting was very collaborative – it showed how everyone wants to do better together for industry,” she said. Configura also held its 10th annual CET Designer Awards ceremony during the conference. On display throughout the main conference hallway were the submissions from CET Designer users: photorealistic renderings, fly-thru videos, 360-degree panoramic renderings and user success stories. The award recipients were announced at the conference and the complete list of winners – along with their work – are posted at https://www.configura.com/userconference#awards. The 10th annual CET Designer User and Developer Conference was sponsored by Diamond Sponsors HNI and Open Systems Technologies; Gold Sponsors Herman Miller, HID Evolution, MyResourceLibrary, National, ProjectMatrix, officeinsight, OFS Brands and Steelcase; Silver Sponsors American Society of Interior Designers, interiors+sources and Praxik; and Bronze Sponsors Bellow Press and TPG Architecture. Presentations, videos and photos from the conference will be available at configura.com/userconference/2017. Configura’s spring Partner Meeting will be March 21, 2018, in Grand Rapids, Michigan. Configura’s 11th annual CET Designer User and Developer Conference will be Oct. 17-18, 2018, in Grand Rapids, Michigan.